The acclaimed establishment, which was issued Miamis very first alcohol license, is closing its original location after 102 years in business. In an effort to preserve the tradition of this iconic Miami landmark, Tobacco Road and Norwegian Cruise Line partnered to bring the Tobacco Road experience on board Norwegian Escape, which will begin sailing from Miami in November 2015. In addition to favourite beers and spirits, Tobacco Road Bar on board Norwegian Escape will also feature a selection of cocktails created by Tobacco Roads resident mixologist, Leo Holtzman. The delicious drinks from Holtzmans Cocktail Collection will include favourites like the Chili Mule, featuring ginger puree, Cointreau and vodka topped with a sliced serrano pepper; and the Gateway, a rum-based drink that incorporates yuzu juice, elderflower syrup and Prosecco. Norwegian Escape will begin weekly 7-night cruises from her year-round homeport of Miami to the Eastern Caribbean on November 14, 2015. The ship will be the largest to homeport year-round in Miami, carrying 4.200 guests to tropical Caribbean destinations including St. Thomas, U.S. Virgin Islands; Tortola, British Virgin Islands and Nassau, Bahamas. The ships signature hull artwork, which features an underwater scene of marine wildlife, is designed by marine wildlife artist and champion of ocean conservation Guy Harvey. 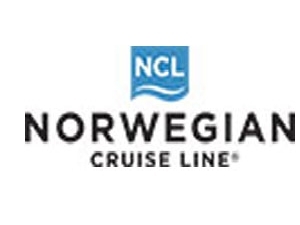 Accommodation includes the companys signature luxury ship-within-a-ship complex: The Haven by Norwegian; along with Studios, designed and priced for solo travellers; and many options for families, multi-generational groups, spa enthusiasts and more.